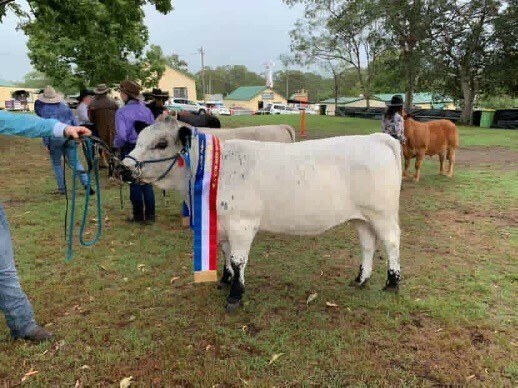 A British White was awarded Champion Lightweight Led Steer at the 134th Wingham Show held on 30-31st March 2019. The winning steer beat out competition from a suite of other breeds including Speckled Park, Limousin and Murray Grey. The purebred 13-month old steer weighing in at just under 350kg was bred by Mr Lindsay Murray of Dingo Lane Farms, Myocum on the Far North Coast of NSW. 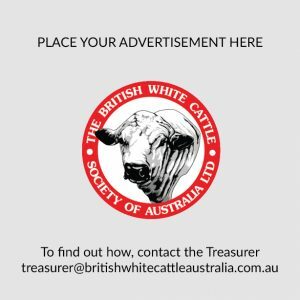 Lindsay has been a member of the British White Cattle Society of Australia for almost 10 years. The steer was out of Dingo Sylvia by Darnum Park Bob. He was prepared for showing by the students of Chatham High School, under the expert supervision of their Agriculture teacher, Mr Yan Kleynhans. 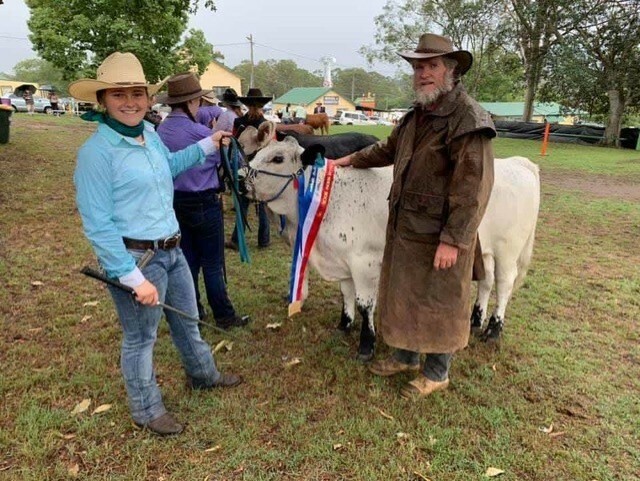 Chatham High has developed an impressive track record and the school took out a total of four prizes for cattle at the Wingham show this year. 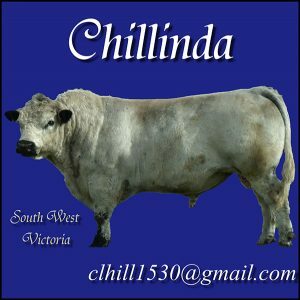 Mr Kleynhans has developed a particular interest in lesser-known breeds that he considers have potential to contribute the Australian Beef industry. 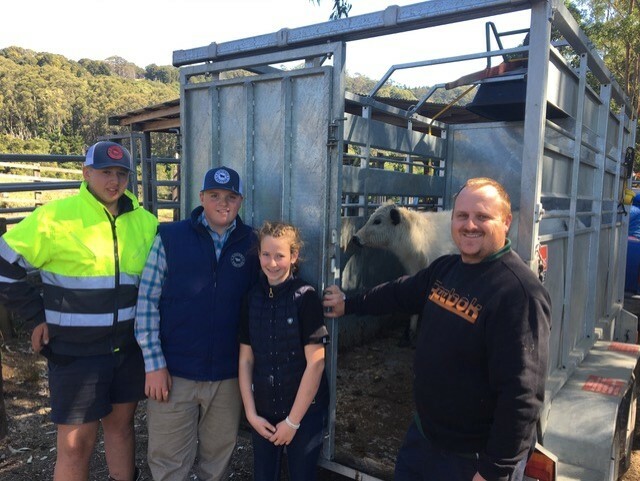 Naturally, the British Whites caught his eye and Dingo Lane Farms were only too happy to supply the school with two suitable steers which the school took delivery of upon weaning last September. The winning steer will now go on to compete in the “hoof and hook” competition at the upcoming Sydney Royal Easter Show. 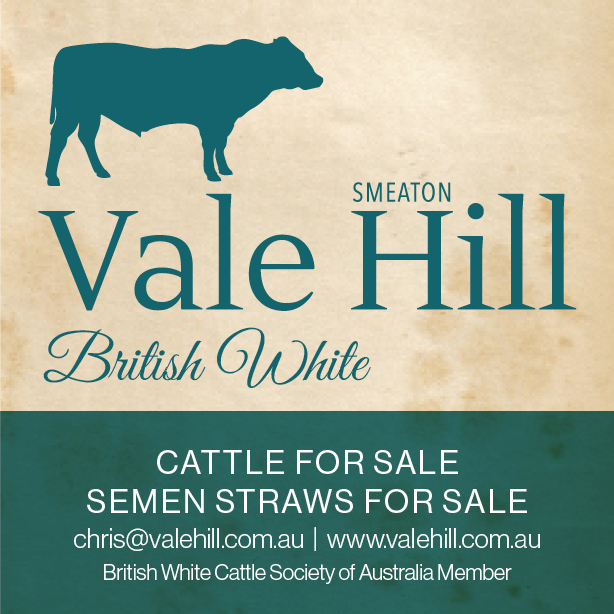 Dingo Lane Farms and Chatham High School are both delighted with the result and already planning future ventures to showcase the exceptional qualities of the British White breed.